GMail starts to block less secure apps: how to enable access again | ComTek Computer Services Inc.
Gmail users can access their account on the official website or by using first-party or third-party apps and services instead. A first party app is for instance Google's official Gmail app for Android, while Thunderbird and the mail client app of Windows 8 are third-party apps. Google announced back in April 2014 that it would improve the sign-in security of its services and affect any application sending usernames and passwords to the company. The company suggested to switch to OAuth 2.0 back then but did not enforce it up until now. 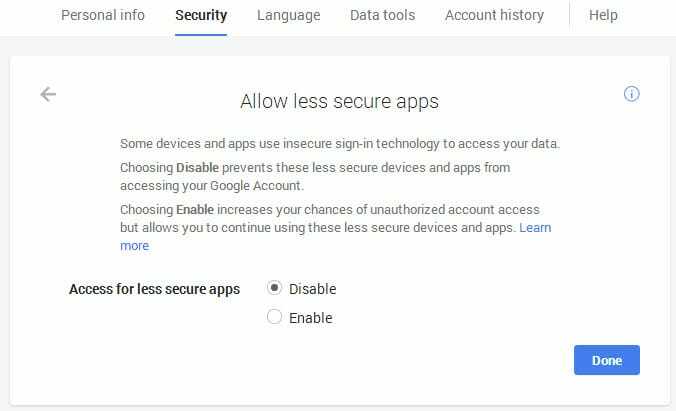 If you open the new less secure apps page under security settings on Google, you will notice that Google has disabled access by default. Note: You see the page only if you are not using Google Apps or have enabled two-factor authentication for the account. Google states on it that "some devices and apps use insecure sign-in" technologies to access account data, and that the disable setting blocks these apps and services from accessing the Google Account. You can flip the switch here to enable less secure applications again so that access is regained. If you are receiving error messages -- password incorrect or similar -- when trying to sign-in to your Gmail account using a third-party application or service, chance is that it is affected by the change. Enable Two-Factor Authentication for the account. As mentioned earlier, accounts with it enabled are not affected by the change. You may need to create an app specific password in the process for the app or service though. Read also: Use 2-Step Verification without mobile app. Change the "allow less secure apps" setting to enable. This allows them to connect to the account again. The easiest option, without doubt, is to switch to enable on the security settings page. Two-Factor authentication may improve the overall security, but since you may need to create app-specific passwords, does not seem to improve security when compared to switching the setting to enable. It is possible that companies will start to update their applications and services to support Oauth 2.0 so that users don't have to make a decision in this regard anymore. For now, the three options listed above is all that is available to those users.